A North Providence Rhode Island Police officer‘s cruiser was recently struck head-on by a woman on Douglas Avenue at about 1 A.M. The young lady’s Jeep crossed the center line and hit the police cruiser, both cars resulting with heavy front-end damage. The Fire Department had to free the officer, who was trapped inside his vehicle. His personal injuries involve a broken arm and some bruises. The uninjured defendant was charged with a DUI involving bodily injury and driving to endanger resulting in personal injury. Investigators have reported that the woman’s blood-alcohol level measured .130 and .132 – both above the legal limit of .08. She was also charged with motor vehicle violations. The blood alcohol level of the woman who hit the officer was a .130-.132. At that level, a person has major impairment of mental and physical control; slurred speech and blurred vision – all things that are extremely unsafe when driving. From our experience at the Bottaro Law Firm, the defendants in our personal injury cases rarely act harshly or have the desire to hurt others. 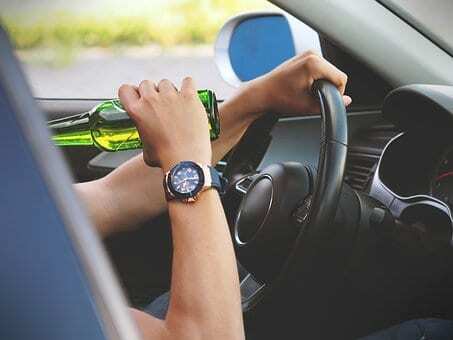 However, driving impaired could be considered an intentional act in personal injury law. If you are a victim of a drunk driving car accident have suffered any type of personal injury from the accident, you have important legal rights. We have several cases that were caused from a drunk driver, one that we have showcased as a blog post in the past, as well as other high profile cases. Our personal injury attorneys are here to help you through the whole process – even attending the defendants’ criminal court hearings.